Chance Sherer is a Managing Director at VMG Health and is based in the Denver office. He specializes in providing financial, valuation and transaction advisory services to the firm’s healthcare clients. His clients include health systems, ambulatory surgery centers, surgical hospitals, oncology centers, diagnostic imaging centers, dialysis centers, physicians groups, and numerous other ancillary healthcare service businesses. In addition to extensive valuation experience for transaction planning and financial reporting purposes, he has consulted on numerous development, feasibility and recapitalization analyses for joint venture, restructuring and denovo business development purposes. 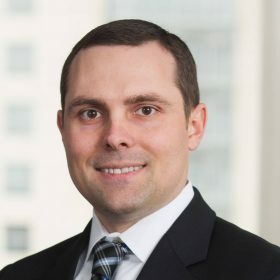 Mr. Sherer is a Certified Valuation Analyst (CVA) and is currently a member of the National Association of Certified Valuation Analysts (NACVA). He also a member of the American Bar Association (ABA) Health Law Section and is a vice chair of the Business and Transactions Interest Group. Mr. Sherer received a Bachelor of Business Administration in Finance from the Cox School of Business at Southern Methodist University. Presentation: Ambulatory Surgery Centers: Valuation Process and Key Benchmarks. Chance Sherer. GSASC/SCASCA Semi-Annual Conference & Trade Show: February 19, 2016. Presentation: Key Trends in Valuing ASCs and Practices. Chance Sherer and Clinton Flume. Becker’s ASC Review – Spine, Orthopedic and Pain Management-Driven ASC Conference: June 11, 2015. Presentation: Valuation of Your ASC Chance Sherer and Aaron Murski. Ambulatory Surgery Center Association Annual Conference: May 15, 2015. Panel Discussion: Business & Transactions. Chance Sherer. American Bar Association Health Law Section – Emerging Issues in Health Care Law Conference: March 6, 2015. Presentation: Key Trends in Valuing ASCs and Practices. Chance Sherer and Clinton Flume. Becker’s ASC Review – Spine, Orthopedic and Pain Management-Driven ASC Conference: June 13, 2014. Presentation: Key Trends in Valuation ASCs and Practices Chance Sherer and Clinton Flume, VMG Health, Becker’s Spine Review Conference. June 12, 2014.